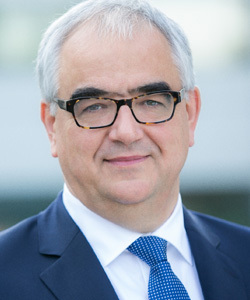 Paul Stoffels is the Chief Scientific Officer as well as Worldwide Chairman, Pharmaceuticals, Johnson & Johnson. Prior to his role as Worldwide Chairman, he served as Global Head, Johnson & Johnson Pharmaceutical R&D from 2009 – 2011, as Company Group Chairman, Central Nervous System & Internal Medicine, from 2006 – 2009, and as Company Group Chairman, Global Virology, from 2005-2006. Paul joined Johnson & Johnson in 2002. Paul studied Medicine at the University of Diepenbeek and the University of Antwerp in Belgium and Infectious Diseases and Tropical Medicine at the Institute of Tropical Medicine in Antwerp, Belgium.